Care to be Different > Articles > NHS Continuing Healthcare > At your wit’s end with NHS Continuing Healthcare? Even just a quick glance at the comments and questions on our blog reveals the huge number of obstacles and frustrations many families experience with the NHS Continuing Healthcare funding system. It can be hard to know what to do when it seems as though you’ve exhausted all avenues to achieve justice in Continuing Healthcare for your relative. If you’re finding that your local Clinical Commissioning Group (CCG) and/or NHS Continuing Healthcare team won’t listen to you, won’t reply to you, won’t abide by the Continuing Healthcare assessment guidelines and/or are ignoring the law (for example the Couglan case and the Care Act), you may find the suggestions below helpful. Many people write to their local Member of Parliament (MP) about the maladministration in Continuing Healthcare. We hear mixed reports about the effectiveness of doing this, but it is one way to exert some pressure, and some families do find that it leads to a faster response from their Continuing Healthcare team and/or Clinical Commissioning Group (CCG). It’s not everyone’s preferred option, but some families have shared their stories with local newspapers and local radio/TV. The resulting negative publicity for the local CCG can make a positive difference in individual Continuing Healthcare cases. Equally, you could approach some of the national current affairs programmes or ‘magazine’ style programmes in national radio and TV. If you do this, always be aware that you will generally have no control over what is actually broadcast or printed, but if the newspaper or media station is on your side and is perhaps looking to cover this as a wider issue anyway, it may be a good option. If you’ve exhausted the local assessment and appeal process and the local CCG is still not handling your case properly, you can approach NHS England. This may be for an independent review or it may be to raise other concerns about Continuing Healthcare. Alternatively, or in addition, write a letter of complaint to Simon Stevens and copy it to the press and/or other relevant organisations. Simon Stevens is Chief Executive of NHS England and is accountable to Parliament. These are the correct stages of the local Continuing Healthcare assessment and appeal process. The local authority/council has a legal duty to evaluate whether your relative’s care is beyond the local authority’s own legal remit. If it is, the NHS has responsibility for funding your care through NHS Continuing Healthcare. For this reason the local authority MUST be involved in the Continuing Healthcare assessment and appeal process. If a person’s care needs are beyond the local authority’s legal remit, and yet the person needing care is paying for their care, the local authority will be acting illegally because it will, effectively, have taken responsibility for that care. If the local authority has been remiss in this legal duty in your Continuing Healthcare case, contact the local authority’s Head of Adult Care and make it clear that the local authority are potentially in an illegal position, as they haven’t adhered to the Care Act. In addition, write to the leader of your local authority/council stating that they should be asking questions, because their tax payers are picking up the tab for those people rejected unlawfully for Continuing Healthcare by the CCG. If relevant, make a formal complaint about specific social workers and/or CHC assessors. Remember that all those working in health and social care must follow their own professional codes of conduct. Here’s an example from the Nursing & Midwifery Council. If you’ve already taken your Continuing Healthcare case to an Independent Review Panel at NHS England and you’re still unhappy with the outcome, write to the Parliamentary and Health Service Ombudsman (PHSO). We hear mixed reports about the PHSO service, but it is an option to consider. This is worth thinking about if you need to offload things onto someone else. There are, of course, costs to consider, but if you’re acting as power of attorney for your relative, the fees for advice could potentially come from your relative’s funds. Always double check this though, before you use funds for that purpose. Should you use a solicitor in Continuing Healthcare cases? The potential legal costs involved in going to court understandably put many people off, but it may be appropriate in some cases. It’s useful to know what options other families may have used to prompt some response from local CCGs and Continuing Healthcare teams – to try to make progress with funding assessments and appeals. If you have additional suggestions that might help other families – especially if they have made a positive difference to you – please share them here. Due to a number of strokes my mother has lost the use of her limbs except her right arm and is unable to event re-position herself in bed. She has just been assessed using the checklist and under the mobility section they marked her down as “B”, however reading the descriptions I would suggest she is an “A”. Is there a more detailed description of these criteria? One interesting point was the new tactic as we have pointed out evicting is pointless as (having capacity to do so) she has declined a nursing home the LA refuse any services to mil at home leaving the Hosp with the problem that even with a eviction order what you going to do….. well it now appears that a place of safety under the Mental Health Act section 136 is the plan? Anyone been here before? all advice welcome? Be vigilant. Last year I believe the NHS tried to use the Mental Capacity Act to facilitate rapid hospital discharge. My father ( 90 and with Alzheimers, severe mental health problems and physical health problems) was deemed repeatedly to have capacity to make the decision to go home. Believing they could discharge him to family without any support by deeming him to have the capacity was convenient for them. However, we repeatedly refused so they changed their mind about his capacity and organised a best interests meeting so they could make the decision for him (wanted to discharge to a care home if we wouldn’t look after him). Their overriding interest was never my father or his needs it was simply to get rid of him as quickly as possible to free up a bed. Do you think “place of safety under Mental Health Act section 136” may be just a way to discharge to a care home? Thanks Richard. I followed your suggestion and wrote not just to the CCG to request a full assessment but to the Chair and CEO to complain about maladministration etc. So far the only response has been a dismissive letter from the governance team on behalf of the CEO. It claims all staff are appropriately trained in continuing healthcare and that as my father is under the care of the Community Mental Health Team (CMHT) I should approach them if I need further help. It goes on to say a second Checklist has to be carried out and this is part of the Framework because people should only be assessed when their needs on discharge are clear and when they are fully medically fit. They repeat the word optimum claiming to assess people when they are very ill and may get better would lead to an inappropriate use of NHS resources. I will respond but it is clearly just a game to them, avoiding Checklists, manipulating Checklist results, delaying again and again and trying to confuse and misinform families at every opportunity. My father’s health conditions are all incurable – he can only deteriorate not improve, he was discharged twice from hospital without assessment, 12 months ago in January 2016 and again in April 2016. How long do they think the NHS should wait for a 91 year old to stabilise, reach optimum health, get fit etc? Waiting for someone to be stable who has Alzheimers is a joke – my father’s condition is unpredictable so there will never be a time when he can be considered stable and his condition unchanging so they will never assess him. He will be stable when he is finally dead. I feel now that it does not matter what is wrong with my father or how well I understand the rules of Continuing Healthcare. He would qualify if the rules were fairly applied (as would so many others) but in his case it is not a case of being wrongly assessed – if that happened there is a right to appeal – it is simply that the CCG and paid NHS employees are conspiring to ensure no assessment will ever take place. Therefore there is no healthcare, no funding and a few emails from poorly informed staff is all it takes to save the CCG huge amounts of money. It does not matter whether a CCG is Coughlan compliant or follows the framework. If a CCG simply refuses to obey the law (however crazy the law is) what can any patient or family do? It is a year since my father’s health suddenly deteriorated and he reached the stage of needing 24 hour care and it is clear the National Health service has no intention of fulfilling it’s obligations. which is about par for the course in our experience ;having now met face to face several of the local”great and the good” they seem genuinely unaware of Coughlan, being entirely process framework driven I say seem, cause you can sure but hey ignorance is no excuse . it is I’m afraid a war of attrition At some level they are terrified that if they do it right the NHS trust/ccg will be bankrupt so they buy in and indoctrinate the juniors that the framework is the law. Our local crew were absolutely certain framework = law and IMHO were taken aback to be challenged on that point including being personally / professionally liable; lawyers advise officials decide and are answerable. I’m guessing your father is not in hospital so try asking LA social worker with appropriate training through Head of Adult Social Services to do the Checklist. Failing that worth GP being asked to consider fast track if “rapidly deteriorating”. Next letter i’d suggest copying in your mp(s) if you and relative live in different areas; not much use but nothing to lose. Again straight to the top ceo / chair advise you hold them personally and professionally liable for the consequences of delays ask the email is copied to ccg board governance members ( see ccg web site ) cc LA CEO NHS Trust chair and CEO and head of Community mental Health. 8. In the last five years how many times have LA social workers in this area been invited to MDT/CHC assessments? Meggie, this seems to be a common practice. They kept up a similar routine for almost three years until my FiL passed away in Jan last year. We still have not refunded the council for his rechargeable care. But what takes the biscuit is that NHS England is refusing an Independent Review Panel (IRP) hearing (for one of two failed assessments), on the grounds that I applied for an immediate IRP instead of going through the local procedures. This is a reasonable request and permissible under the rules. However, NHS England took over two years to reject the request and now states that we had six months ( a reasonable length of time so they say), at the time and that because we failed to follow local procedures, that we are at fault. So, one day this is going to court. There does not seem any other way out. I can find no reference anywhere in the framework, Checklist guidance etc. any use of this phrase optimum or optimised. I feel this is obstruction/delay but am a loss how to respond. Given that two hospitals and a social worker all failed to carry out a Checklist at the beginning of this year, can I ask or insist the CCG to go straight to a full assessment? It is hard to have any faith that anything will work as the letter from the CCG (which has an unreadable signature) is from the CCG Business Support Team – Continuing Care. What on earth has my father’s health got to do with Business Support and what do business support know about any aspect of physical or mental health care? Direct e mail to Chair & CEO of ccg details of who they are will be on their website ask them to explain the delay hold them personally and professionally accountable for the consequences of any delay ask them if what they are doing is Coughlan Compliant? surely if the assessed need is 24h nursing care that must be a primary health need??? Further to our telephone conversation, conducted on a without prejudice basis on both sides, with a view to exploring a resolution to the issues in this case, my client remains of the view that the position of the local authority is that it cannot agree to meet certain heads of assessed need, and not others, on the basis that by those heads of need not being met, the health and safety of DH will be placed at real and immediate risk. The assessed need is for nursing care 24 hours. The reasons remain those set out in previous correspondence, not part of this “without prejudice” communication. Thank you for your messages relating to Ms. Coughlan’s case. I have passed these to our chief executive, chair and director of commissioning for their information. I will seek their response to why this case is different to Mrs Hs. In response to your query. We are familiar with the Coughlan judgement as the principle of “primary health need” is now embodied in the National Framework for NHS Continuing Healthcare, first published in 1997. In Mrs H’s case, an assessment has been carried out in accordance with this framework, the outcome being that Mrs H does not have a primary need for healthcare and does not meet the criteria for NHS Continuing Healthcare. This can, of course, be challenged through an appeal process, firstly at local level and then through NHS England. Can you help. My mother had a stroke in 2006. On her discharge from hospital I was told she needed full time nursing care and to look for a nursing home, which she went into on leaving hospital. Her savings and the sale of her house were used to pay for care. I have been turned down for funding which I am appealing against. My mother had dementia was blind, deaf, doubly incontinent with mobility issues and skin problems. The NHS care team would not look at the last two years of her life as no assessment had been done. Is this correct? Judith – if I’ve understood you correctly then, no, that doesn’t sound right. If no assessment had been done for the last two years of your mother’s life then that period of time is exactly when a retrospective review is relevant. Really need advice. After reading Care To Be Different I followed advice on Bernie Crean’s article and asked for a needs assessment as a way of getting a Checklist done. Since then the Community Mental Health Team (CMHT) will not leave us alone. Dad passed the Checklist but they did not submit it to the CCG so it was a waste of time and I have given up on CHC as the process has made me ill. However, now we have decided that the only option is to continue to care for dad at home as a family with paid private care to help we can’t get rid of the nurse who did the needs assessment and his visits have just become something else to fit into a very busy and stressful life particularly as he continually reminds dad he has Alzheimer’s. This is worrying dad and dad is now talking constantly about having Alzheimer’s and dying. Two neighbours with Alzheimer’s ended up in care homes and later died and dad is aware of this. We tend to not discuss it with dad and he is happier thinking he is doing really well for 91 and is just a bit muddled and forgetful at times. I emailed to cancel a meeting for next week but the nurse has replied to say he has to come and see dad to see what other services dad wants from him. Dad will agree to anything in his current mental state so if nurse says do you want me to come again dad will say yes and we will have another day disrupted. Can we refuse further involvement? It isn’t helping and is simply an added stress particularly as the nurse implied in a letter that they needed to be sure some of dad’s delusions were delusions and not real, i.e. that we might be after his money. Please help. Thanks Chris, we have a District Nurse visiting today and someone from a care company tomorrow. All this is because I began tweeting about the CCG’s total incompetence. If nothing comes out of this I will contact social services. I have done all that. NHS England haven’t been bothered. The Ombudsman is investigating. Our MP is awaiting the outcome of our complaints to the CCG. The CCG keeps investigating our complaints and whilst they do that they’re seen to be doing something. And we carry on managing because no one seems to care. Amy, The council still has some involvement even when the NHS takes over care. If the care plan and associated matters are not being dealt with properly by the NHS, then I would raise a safeguarding issue with social services. The NHS is not above the law and it is often the council and social services that have to enforce such care laws. To give this some context…… Imagine that a privately paid registered nurse was providing care and messing your family around……… The NHS would not be particularly interested in that case because they were not employing the nurse, but the council has a legal obligation to act on an accusation and evidence of neglect and/or lawbreaking, regardless. I last commented about 4 months ago. It was about my severely disabled husband and Continuing Healthcare (CHC). He was awarded CHC in May 2015 and given a Personal Health Budget in September 2015. We are no further forward than we were before CHC. No care plan, no emergency care plan, basically no care. We had a meeting with our CCG in August to discuss our complaints and we were told everything would be resolved by 8 weeks. Guess what, that was 8 weeks ago tomorrow and nothing has happened. The whole way that CHC is being implemented needs looking at urgently. Amy – If your husband has been awarded CHC then the NHS is responsible for his care; for that reason, if they have failed to put in place the vital care he needs – especially if there’s not even a care plan – they are seriously negligent. You may want to contact NHS England with your complaints, and perhaps go to the press and maybe also contact your MP. Thank you for your reply. I was devastated when I received the email saying no plans to refer to CCG and they would wait 8 weeks before making a clinical decision about whether another checklist needed to be done at all. I plan to respond and your comment that” a well managed need is still a need” is very helpful – I had forgotton this. I also plan to point out that my father still scores As in two other domains so should still be referred anyway. 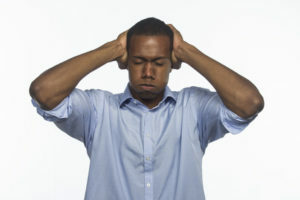 The process has been so distressing and lonely and only people in the same situation seem to have any idea of the nonsense that is involved or of the lack of compassion and ignorance exhibited by NHS staff who in our experience seem to think that their jobs are to do anything except actually look after very sick people. Meggie, Assuming your dad has more than a psychiatric need for medication, how can a checklist need to be done again when the patient presents at their best? That in any case would indicate a well met need and the process does not allow such needs to be ignored. If you hold a copy of the current checklist, I would compare it against any future document and dispute the validity ifn then matter is actually unchanged. I don’t understand why you were asked to complete the checklist either. You are not allowed to do such a thing. They have failed to comply with the National Framework (NF) and also the Care Act ’14 by excluding you from the MDT assessment of your mothers health and social care needs. See the Decision Support Tool (DST) document itself….page 8 para 4 and 5 The multidisciplinary assessment that informs completion of the DST should be carried out with the knowledge and consent of the individual, and the individual should be given a full opportunity to participate in the assessment. The individual should be given the opportunity to be supported or represented by a carer, family member, friend or advocate if they so wish. The assessment process should draw on those who have direct knowledge of the individual and their needs. 6.9 The purpose of an assessment is to identify the person’s needs and how these impact on their wellbeing, and the outcomes that the person wishes to achieve in their day-to-day life. The assessment will support the determination of whether needs are eligible for care and support from the local authority, and understanding how the provision of care and support may assist the adult in achieving their desired outcomes. An assessment must be person-centred, involving the individual and any carer that the adult has, or any other person they might want involved. An adult with care needs could for example ask for their GP or a district nurse to be contacted to provide information relevant to their needs. You have the right to lodge an appeal via the CHC process. I also feel you have the right to lodge a formal complaint against both the CHC nurse and the SW for breaches of the NF and the Care Act, they have a code of practice as part of their professional standards and both have breached this. There was a lack of candour and transparency by both the SW and CHC nurse this is a breach of CQC regs see http://www.cqc.org.uk/content/regulation-20-duty-candour. You could notify the CCG CHC co-ordinator that you feel that by excluding you from the MDT in breach of the NF and Care Act ’14 that this invalidates the CHC assessment process and that you want another MDT CHC assessment and a another MDT assessment of your mothers health and social care needs (with you being present) before a DST is completed. You could also ask that you want different professionals involved as you don’t have confidence in them. My severely demented mother had her MDT assessment using the DST a couple of weeks ago at her care home. I was informed by phone some weeks before that she would be having an assessment by a nurse followed by a social worker’s assessment a few days later. It was only after receiving a letter from the NHS Continuing Healthcare team this week that revealed that the “assessment by the social worker” was in fact the MDT assessment at which a nurse was also present. I spoke to the lead nurse by phone stating that I was not informed that this was the MDT assessment using the DST and asked why I had not been informed by letter; she told me that their policy was to phone the patient’s relative. Obviously this conveniently leaves no record. The MDT assessment is simply wrong in places with a number of half truths or straight lies. My point is: is the MDT assessment valid as I was not given the the opportunity of attending, or will I need to go through the appeals process? I don’t expect that there is much chance of overturning the decision but at least would like to force the local CHC to document matters in writing so that other families are given proper information. I requested a doctor to attend the DST assessment. When I arrived he/she was not there, and I was told that they do not have to attend. I approached my mothers practice to see if they were approached and they had no record. Can they do that? Anne – reports show that GPs rarely attend Continuing Healthcare (CHC) assessments, unfortunately. Indeed, the knowledge of CHC amongst GPs is often very low. If you do ask again, it’s worth asking the GP directly, rather than assuming the CHC team will do that. If there was evidence missing at the assessment, because the correct people weren’t there, you can appeal on that basis. The multidisciplinary team must look at the whole picture and must gather all the necessary and relevant evidence. If the level of care (and finances at risk are sufficient to protect) is at risk, is it worth employing and paying for medical advocacy at a MDT? I have done just that and it was helpful, especially at subsequent independent review panels, at which they attended for a fee. The role involved reviewing medical notes and nursing home records too. I remember that every time ‘needs of daily living was mentioned’ they were challenged strongly by the nurse that assisted. Perhaps your GP could be paid to attend in a similar if more expensive capacity if they will not do so voluntarily. I know that decisions of the PHSO can be the subject of a judicial review. However, what is not clear to me is if someone decides to appeal a NHSCHC funding decision via the PHSO route, and the PHSO agrees with the decison of the CCG, is it correct that the courts cannot subsequently consider whether the CCG’s decision was lawful and correct on the facts? In other words, once you have had an independent review of the CCG’s decision, must an applicant for NHSCHC decide whether to appeal to the PHSO, or decide whether to ask a judge to consider whether or not the decision was correct in law and on the facts? Any clarification would be very welcome. Taken From Health Service Ombudsman website…….. This is bonkers when courts often want to know if one has been through the Ombudsman process before they w ill allow action. I am actually right now, being told that instead of complaining about a 26 month delay at NHS England only for them to report that an unnamed IRP chair has refused one of our requests for IRP. Of course the refusal is for the attempted bypassing of the local appeal process that is permitted in the Framework. They claim that without actually refusing us for over two years that we had enough time to make a local appeal within the six months limit, which ended more than 20 months ago. Even better; the delays that engendered the appeal to bypass the local appeals and to hear two cases together, were largely due to being banned from communicating with our local Commissioning Support Unit (CSU). (On the grounds of my written tone????). Yet the refusal letter from the sage but unnamed IRP chair considers that we were not banned from communicating but it was that the CCG was simply ignoring our calls, letters and e-mails. I doubt that I want this one doing an IRP now in any case. You couldn’t make this stuff up. All the best. Andrew – I’m not aware of anything preventing a person taking a case to court after a PHSO decision. That doesn’t mean I’m right, but I’ve never seen/read anything to that effect. The consultant was the Doctor overseeing her in the hospital. Mum has now been under the care of a nursing home for about 5 weeks. That said, mum has taken a severe turn for the worse and an ‘end of life’ care package is in place. The priest was called to see her today. I’m so very sad to hear the news about your mum, John. Thinking of you. This is no doubt a very difficult time for you all. I wanted to keep you updated with our situation. I have been in contact several times with the CCG regarding the now ‘retrospective’ review of my Mum who passed away 9th July. The ‘new’ information (and basis for appeal) regarding my Mum is the previously unaccounted for (in the initial assessment) ‘fits’ and ‘skin condition’, which only came to light after transfer from the hospital to the nursing home. I understand that the CCG are waiting for the Social Worker (yes the one who didn’t know my Mum) to complete her report. It seems to be taking an inordinate amount of time but I will look to update this forum when the outcome is known. And thank you for the kind words of support. After frequent chasing I have finally had notification that a new Multidisciplinary Team (MDT) review will take place 28th November. I am unable to attend personally but have been invited to submit a statement. I will do so with regards to the 2 conditions my Mum was suffering that were not given to the original MDT meeting (namely ‘fits’ and the ‘very poor skin condition’) which only came to light on the day of transfer to the nursing care home some 6 weeks prior to her passing. I will let you good people know the outcome. I spoke to the Manager of the Nursing Home who hosted the review meeting this week. She advised that the outcome was a recommendation to approve the award of CHC, subject to further approval by ‘the Panel’, which is due to take place in a couple of weeks. The Manager of the Nursing Home was instrumental in this reversal and I can’t thank her enough. Sadly my Mum did not live long enough to see it, but I am, nevertheless, happy to report this success to you good people and hope it might provide some encouragement to others to continue the fight for the rights of your loved ones. Once again I want to thank Angela Sherman and the numerous contributors to this excellent group for the kind words and thoughts over the last 5 months. Keep an eye on things. The Panel has no authority to alter or change anything that a MDT has recommended unless they clearly express ‘exceptional circumstances’ for so doing. Ask for DST’s copies of the Panel’s deliberations etc. and any other relevant paperwork if they are not supplied with (hopefully not) any refusal letter. If they simply write to you denying funding, then you will need to compile an appeal and I would advise doing it with a view to going on from there to Independent Review. Well, I’m sorry to say that I’m back. I have received a letter today from the Personalised Care Dept. So apart from the poor English does anyone have any advice? In a nutshell…Mum was declared eligible but from 5 days after she died so they don’t have to pay. The whole point of the review was that the original decision was flawed, having not being given material information that would have affected that decision. “Further to your email. I can confirm that I have spoken to the Admin Team who facilitated the Resource Allocation Panel. I asked for your Mother’s date of admission to ——– Nursing Home be taken into consideration but the decision was made by the Panel to fund from the date that ——— Nursing Home sent the CCG a Change of Circumstance form requesting a review of care needs. The rationale from Panel is explained below. Discussions were held and it was agreed to fund 29 days after checklist which would take the funding date to 14.07.2016, but unfortunately the patient passed away on 09.07.2016. I’m not sure what, if anything, I can do now. Any guidance (carry on or give it up?) would be most welcome. John, sorry about your mum. To perhaps reopen a sore wound, did your mum die from anything related to the apparently denied needsnfor funding? In short, was ‘fast track’ funding an appropriate course of action? If cause of death was related to needs or in the matter of fast track, because of rapid decline, then they really have no leg to stand on. I wish you well, and good luck. Another thought, resource allocation panel does sound a little bit like the panel is involved in budgetary matters and budgets play no part in awarding NHS CHC funding……. Need is the rationale And not the NHS’s financial aability allocate resources. The funding was awarded but as a result of a 2nd assessment (the 1st one took place in hospital and was denied). The ‘allocations panel’ decided to award it from the date the 2nd assessment was requested by the home…then they have added 29 days (I’ve no idea why) taking the award date beyond my Mums passing. It’s very confusing. The reason for the new assessment was that the information which was not given to the 1st assessment by the Hospital Ward Manager, would have triggered the award. It appears this panel has ignored the assessors ‘recommendation’ to consider the award from the day of transfer from hospital to the nursing home. Hi John, thanks for clearing it up. I just pondered on something else that you reported. The issue of a change of circumstance form by the nursing home. The home has, presumably, a registered nurse on staff……. They were entitled to carry out an official NHS CHC checklist and send that to the CCG……. It seems that more and more CCGs are messing about with procedures instead of using the correct routes to achieve assessments. All the best. Chris. Thanks. She has deteriorated since I last posted and end of life care has been initiated. She is very frail and cannot take food, fluid or medication. I’d like to add that I have been advised by CGG that my Mum will be reassessed for CHC, although this “may take a couple of months”. I was also advised that minutes of assessment meetings are only sent if requested, which I didn’t know. Given the consultant’s statement then I would suggest the way forward is to ask him to complete a fast track assessment, as clearly he believes she may be entering a DECLINING PHASE. As to minutes, our lot don’t keep any… wonder why. I have just received notification that my Mum does not qualify for Continuing Health Care. The decision is set out entirely against the Nature, Intensity, Complexity and Unpredictability. There is no mention of the 12 domains nor have I received any documents setting this out. The assessment took place in hospital in May. I attended but did not have any of the information from your good site to help me. Nobody else’s fault in that I also did not have my reading glasses so was reliant on listening and understanding what was being said and determined. In attendance were a young Social Worker who does not know my Mum and the Ward Manager reading from notes. Their judgement was that Mum did not meet the criteria. To this day I have not received a report of the findings within the 12 domains. Having reviewed the ‘tool’ my non-objective view is that she is Severe in 3 domains, High in 3, Moderate in 3 and Low in 2. In the meantime my Mum was discharged to a nursing home. On transfer the home were made aware that Mum had been having fits in hospital (I was not made aware of this while visiting for all but 5 days in 12 weeks). The home also became aware of appalling soreness of the bottom which requires 1/2 hourly repositioning. My mum is 79 has severe dementia through alzheimer’s disease (diagnosed more than 10 yeas ago), cannot weight bear nor move herself in bed. She cannot move her arms to any extent that allow her to feed, drink, medicate or even scratch an itch for herself. She is registered blind and has had poor hearing from the age of 5 (2 hearing aids). She has no long or short term memory and can no longer communicate. Before discharge from hospital, her consultant advised that she might have a couple of months before her organs fail her fatally. In fairness, the nursing home have contacted the CHC and asked them to visit to reassess in light of her condition, which happened last week. I have not heard the result of this revisit but in the meantime I have received the decision as described above. I am despairing and am shaking my head as I type. The care costs are around £1000 per week less a ‘nursing payment’ of around £120 and is a matter of weeks from forcing the sale of her flat. The Fast Track is definitely appropriate here, and neither your mum nor you should be paying anything until the CHC process has been properly carried out and a legitimate decision made. It sounds as though the hospital is guilty of neglect too, given the pressure damage your mum endured. So sad to read about your situation, John. Such a difficult time for you. Can someone please help. My husband has MS. He is in a wheelchair, needs to be hoisted, registered blind, deaf in one ear. Totally dependent, he cannot feed himself or do anything for himself. He was awarded CHC over a year ago. Given a Personal Health Budget (PHB) in September last year. No care plan has been written. We were guided into a company managing his PHB. It took them 6 months to employ 2 personal assistants. One was totally not suitable, the other one disappeared last week leaving us alone. The emergency plan is non existent. If I fall ill or cannot look after my husband for some reason what will happen? I am disabled myself, however, because I do not look disabled at first sight, no notice is taken and I am left alone to manage. I need some guidance on what I can do. I have complained several times but nothing is done. When I asked about his care plan I was told,”We are having difficulty finding a nurse who is willing to compete it”. We have Community Matrons who look after people with long term health conditions but no one will refer him to them. We are at our wits end. Amy, the social services still have a safeguarding role to play. If the NHS will not play ball then that is an option. The bit you wrote about the company managing the PHB sounds very worrying. If they are not of the NHS then I might report matters to the Care Quality Commission and also mention they the PHB giver is not managing its use, very well. Amy, as for your disability…. Ditto. I look fine too. You are entitled to a social services assessment for yourself as a carer. My advice would be to avoid giving them financial details during such but get it known for the future, in case you do have greater perhaps sudden need for their help. Have you a contract with this company? If so threaten them with court action. And so it continues. On the eve of the first stage of appeal having received, after a lot of obstruction, MiL’s case notes we find we have been reported to safeguarding for not acting in Mil best interests by “making her stay in hospital”. Psychological bullying tactics especially as we have young children! Waiting for the knock at the door as we speak. 1. 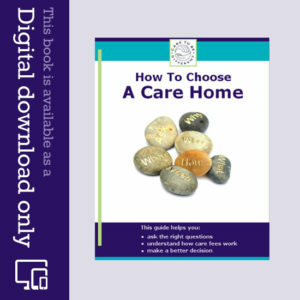 We have been asking for a discharge plan all “they” offer is pay for care home. 2 Given MiL’s multiple health problems not really sure hospital is such a terrible place. But hey. Consultant said best place for her with dementia is in her own home. We said that what we want make arrangements to do it safely 5 weeks ago. 3.Given she has mental capacity (as deemed by social worker (SW) who didn’t even know by what authority she enabled to make such a decision. Same one that had no knowledge of Coulghan or the LA legal limit.) no reason they couldn’t have dealt with her directly to make arrangements to ship her out. Given she has dementia, severe communication problems, etc asking her to sign a contract for 6 figure sum to be paid to a care home would IMHO be legally suspect at best,…. but social worker deems her to have capacity…..
SW claimed MiL consistently at 3 meetings told her she wanted 24 hour care (they say she means nursing care). Data Protection Act (DPA) released documents show evidence for only 2 visits – the first was abandoned as they were unable to understand her! 4 At an ambush discharge meeting 6-2 (would have been 6-1 fortunately I had some time off work to accompany my wife), we had gone in to speak to matron re failings in MiL’s care. We were threatened with MiL being evicted saying we’ve sent home patients with even more severe need than her… despite the fact we thinks its not safe. 6 Will update you after tomorrow’s meeting if I haven’t been arrested. Ok so not arrested then.. safeguarding hearing all the NHS and council people lined up with the council’s chair and his secretary – the only new faces in this drama; social worker was asked by us what care package could the council provide (as has been many times in past few weeks) 4x 15-min a day came the reply. NHS people sat “chanting” into a home one by one 24 hour social care needs ……… not nursing; stony silence when this was suggested. Chair took five minutes to draw up an at-home care package including overnight care with costings, which the LA can self evidently resource to be sent to LA immediately! Addressing the “care professionals” in the room: “This is not actually a criticism of the hospital staff but there is clearly no safeguarding issue here,” to which I added for the minutes had the social worker put this plan on the table 6 weeks ago thing would have moved on so much faster, so if any safeguarding issues around “delayed discharge” then those charges should clearly be laid at her door. We are in the middle of an appeal after our mother was found ‘ineligible’ at her last DST, and the system seems to have changed greatly since we last went through this three years ago. We now have to initially have a Local Resolution meeting with a member of the CHC team. We can no longer represent our mother ourselves at a Panel (in fact the suggestion seems to be that now there is no Panel in our area!) We’ve been told that this lady will interpret our appeal, look over the evidence (again), and decide if there is a case for an appeal (which means she has to go back to her office and tell her colleague that her DST was wrong – I can’t see that happening especially as she’s already told me how good this colleague is!) She may also suggest that another assessment is completed (which in this instance means they save money as we wouldn’t be able to claim back the money our mother is currently having to spend if we accept this option). Or she may decide we have no case, which means we then go to NHS England – who do meet as a panel and who do invite family representatives. Three years ago we lodged an appeal, were invited to attend a Panel meeting, discussed our case and won the appeal!! Does anyone have experience of this new arrangement to the appeal system? Our other big problem is getting the correct evidence from the nursing home. They are excellent and have tried to be helpful, but even the CEO doesn’t appear to really understand the assessment process, nor appreciate the evidence that is required for the specific sections of a DST. While the care staff are being asked to provide more and more information (three assessments in the last year; one ran out of time, one appears not to be recorded anywhere, one completed ….. and now we hear that the evidence from the last DST whose decision we are appealing has all been destroyed and the nursing home have been asked to gather all the paper evidence again….. using up time that could be far better used actually caring for people) the staff don’t really understand the questions that come from a DST form nor the language required; complexity, intensity etc. Any helpful comments based upon experience? Ingrid – the system has not changed, but we hear increasing reports from families that local CCGs are putting their own ‘slant’ on the guidelines. This may help: http://caretobedifferent.co.uk/override-national-continuing-healthcare-guidelines/ Having a local dispute resolution meeting if there’s disagreement after a multidisciplinary team meeting is not unusual. Indeed, if you were to go to NHS England for an Independent Review Panel hearing without this stage have been completed, the chances are NHS England would send your case back to the local CCG for a local dispute resolution meeting to take place. It doesn’t mean that’s right, but it is what very often happens. You have every right to appeal, even if the person you mentioned doesn’t think you have a case; you can still appeal and still go to NHS England for an Independent Review. 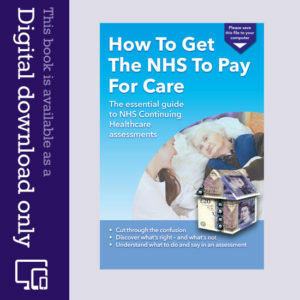 The stages of the whole process are the same as before: http://caretobedifferent.co.uk/what-are-the-different-stages-of-nhs-continuing-care-assessment-and-appeal/ If the NHS has lost the previous assessment notes, this is completely unacceptable and should not disadvantage you. If the nursing home has destroyed or lost notes, this calls into serious question their competence and the safety of those in their care. Remember that a lack of evidence (i.e. evidence has disappeared) does not render someone ineligible for CHC; a person is only ineligible if the evidence clearly shows they have primarily social care needs only. The case of missing or destroyed NHS assessment documentation is in fact a Data Processing Act offence. There has been tendency for CCG’s via their CSU contractors, to refuse to provide DST and the other documentation giving reasons for either funding or refusing to fund. I was told that they do not do what the Framework requires because they need to send the DST etc. as ‘signed for post’ and that people are not often at home to sign for it. Yet it is in fact the patient’s documentation and could be sent to them and the nursing home could of course sign for it. It is done to avoid anyone seeing the DST and reasoning information and so be more likely to appeal. Losing it is also reprehensible. Imagine the fury if a patient died because the NHS had lost the more serious parts of their medical records. Rest assured, as in the PPI scandal, the truth will out eventually. stolen from the helpless will evaporate. They and we know who they are. Martin. Law states that a CCG (any CCG at all) cannot delegate an eligibility decision to anyone else. Our CCG did exactly that for almost two years. The CSU (now a private company I understand), was permitted to make the decisions for CHC funding across 10% of England’s population. If as I suspect, the whole of England was being assessed in the same way, that means that over 55,000 people a year at over £700.00 a week for almost 104 weeks has been awarded CHC funding by the wrong bodies. Now factor in those, a probably larger figure, that were refused and how much money was involved in the faulty decision making that was known to be a risk, several years before CCG’s even began. After weeks of silence a call to meet matron; after our request to discuss concerns around her healthcare on arrival matron was flanked with mum in law’s social worker, consultant and discharge nurses. The social worker literally cowered in the corner scribbling notes; apparently she had done a capacity assessment a few days ago and MIL has capacity to make all her own decisions. The consultant present (initially would only say he wasn’t going to answer any questions) was the same one who gave MIL a dementia diagnosis a few weeks ago. When visiting this am she was ordering nurses out of the room and complaining about being bitten by giant spiders. The NHS staff are refusing to do a Fast Track CHC on the grounds that she is not in the last 12 weeks of life (don’t care what the framework says local policy is ….) Two weeks of silence over this! They won’t countenance another CHC (the first is being appealed but we all know how that will drag on) despite the fact she now has a dementia diagnosis, pressure sores and a diagnosis of a ruptured bowel secondary to diverticulitis which could recur at any time, none of which were known / taken account of previously. Then the insults started: we were depriving her of her liberty, (if she had the capacity she had before admission she would have picked up the phone and called a cab and discharged herself), she was at risk of infection in hospital and would be safer in a nursing home, finally the threat to evict her followed by the subtle twist “well we have sent home far worse patients with just 4x 15min care a day”. Richard, if the council is involved and self funding is not on the table, take the placement in the home and simply refuse to co-operate or pay the council until the entire appeals process has concluded. If the sums are worth it then seek advice from a competent lawyer too. The money in your loved ones account or pensions are there to be used in the best interests of the person. Until all else has failed, the cash does not belong to anyone else. Our lawyer considered it appropriate to use the money/income to protect the money as a point of principle, if we so chose to so do. If nothing else it takes those funds out of the grasping hands of the council that have probably agreed to assist with care costs instead of challenging the NHS. Paragraph about Independent Mental capacity Advocates. IMCA From post link above. who take an interest in their welfare. appropriate to consult anyone, an IMCA should be instructed. appropriate to consult with them. MY TEXT…. IF THE DECISION MAKER WILL NOT ALLOW YOU TO CONSULT THEN THEY MUST INVOLVE AN IMCA ……. THEN YOU CAN INFLUENCE THE IMCA WITH YOUR KNOWLEDGE OF THE PATIENT AND THE ASSESSMENTS. Or one could employ an Independent Mental capacity Advocate…. Free via your local council. They have tremendous power when representing poorly cognitive or mentally ill patients. They will work with you if that is what you require. Seek those experienced in NHS CHC matters. Try this link for starters….. https://www.gov.uk/government/uploads/system/uploads/attachment_data/file/365629/making-decisions-opg606-1207.pdf Or type IMCA into your browser for your local advocacy organisation. I do come across this ridiculous response from CCG’s when there isn’t a POA. Contact the ICO to discuss your case and get advice as they are acting unreasonably given they have shared information with you previously at meetings, emails and in letters. 2. Best Interest & Mental Capacity & NF. Read para 48 & 52 of the NF and also go to page 58 & read PG6 also page 60 practice guidance notes and PG 8, PG 9. As such if you don’t have POA there is a legal requirement under the MCA for there to be a formal best interest meeting headed by an independent chair ( ask for their policy on best interest meetings) . The decision in question being (a) is it in the best interest of the applicant to allow her daughter to act as her ‘advocate’ to appeal the decision not to award CHC ? (b) to allow her daughter to have access to all relevant records as per the NF to assist in the CHC appeal process? Ask for a BI meeting as quickly as possible as you only have 6 months to lodge an appeal once the CCG have given you written notice of the outcome of a CHC process. Also insist on copy of their BI policy and an independent chair. If they refuse to hold one then advise you will be making this a safeguarding matter and will submit a complaint to the CCG and on tot he Ombudsman as maladministration and that you will make a complaint to the Court of Protection. Also ask that they comply with the Care Act ’14 and they make an urgent referral for a Care Act Advocate to assist you in the CHC process . See this link and particularly para’s 4.8 & 4.9. I would ask in an email for confirmation that you are not able to act in your mothers best interest as her advocate in a CHC appeal. Send it to whoever has told you that they cant talk to you about a CHC appeal. I would be very surprised if they will make this statement in writing as they know they would be in breach of the NF and not complying the with the MCA. You need to be robust and assertive with them or they will run rings around you. It is the case that under ICO directions, (you won’t find it in the Data Protection Act), any interested party close to the data subject, (your incapacitated loved one), can ask for the data to be sent to that named person at their nursing home etc. This is regardless that they might not have cognition to deal with it. The senders of post are not responsible for assessing the cognition of postal recipients, before sending letters to them it would be a very silly restriction. The home should sign for its receipt if that is required. Perhaps hold it for you or simply place it in the patient’s room if they are concerned about obstructing the mail. Bernie , thank you , some very good ammunition there for me to use to reply. Their letter was in response to my letter of appeal against the decision of the MDT using the DST to deny mum CHC. The letter states the case cannot go forward (i.e the appeal cannot commence) until I have sent them proof I have authority to act on mums behalf. It then goes on to say so please fill out the consent form enclosed and return it to us’ which I am tempted to just do , because form has four boxes and one says ‘if you are not the patient please sign your name and relationship to the patient in this box’. Nowhere on the form does it say i need to do anything else (if that box applies). The only box that says ‘please see list of acceptable identification/verification etc and enclose it is the box where it says ‘if the patient is deceased’ So I could simply fill out the consent form exactly as the form instructs and return it with my signature and ‘daughter’ on it. Then see if they write back and say ‘Well are you POA or not? This is all supposed to be so they can access medical records in order to commence the appeaLprocess yet during the second MDT the Lead Nurse kept referring to mums notes and what she had seen in them and what there was ‘no record of’ in them so has obviously already managed to gain access to them,so why would she suddenly have difficulty in accessing them again? Any clinical professional in the particular hospital she is based can simply request a patients notes (I used to work there!) and l have never heard anyone from medical records dept ever query a consultant/ ward/doctor/nurse /medical secretary as to why they want them etc. It is a farce. Dont be surprised when the fraudsters close ranks after you complain. the CHC assessment leader of ‘elder abuse’ and called before the “Safeguarding Adults” team. plainly ridiculous and we were totally exhonerated. In short, apart from this our complaints were totally ignored and the Safeguarding Adults team, who agreed at the meeting to look into the possibility that the patients rights were being abused by the CHC assessors wouln’t answer our calls or reply to our messages. Subsequent attempts to ‘blow the whistle’ on this scandal have resulted in a threatening letter from the NHS’s appointed solicitor. It seems thay have no qualms about using ours and our relatives money, fraudulently obtained, to gag us. This is truly a national scandal. Awarding CHC needs to be taken out of the hands of the organisation picking up the bill and put fairly in the hands of an independent body. Martin did you get your MP involved? Martin I am having similiar problems, my local gang of vagabonds have only just apparently noticed that I do not have POA for my mother and gone all ‘Oh we cant speak to you’ on me. in response to my appeal where I detailed several improprieties and all the reasons my mum should qualify on health reasons. My not being POA has not been a problem thus far through two checklists ,one nursing assessment and two MDTs /DSTs I have been invited to every one and been the main provider of information to them and ‘best interests’ has been bandied about more than once. Now they are blatantly using this to stop me going to an IRP. I am mum’s appointee for DWP and HMRC and was her official carer before entering the home. I hold the purse strings and tis me whom the care home approach as first point of contact and it was me that got mum a place there in the first place. Susan Hayes. I have been getting that again today from the social services. The very same people that wanted me to give them bank account, pension, private pension savings account and a list of asset details in regard to a person who could not consent to me doing that. They scream data protection act because the same person cannot consent to them passing me data to take to an IRP appeal, whilst insisting that ordinary people break the act, to satisfy their needs for data so they can charge patients for care. Hi Martin, I tried to get the CEO of our council to undertake an investigation into ‘elder’ abuse by the NHS in the same vein. He, of course refused. He was not even interested when sent copies of forged documents that denied CHC funding, after his own and the NHS’s CHC assessor had recommended it. His assessor (in the original) had clearly stated that it was beyond the council’s legal remit to provide the care. At one stage we had the original, the one the NHS sent to the council and another that they sent to us….. All different. Forgery accusations and fraud claims that the council was being robbed by the NHS were barely acknowledged and after months hassling the council, an investigation was flatly declined. Hardly surprising then that soon afterwards, the Commissioning Support Unit (CSU) employed by the CCG wrote, to me about their banning all staff from communicating with me. The reason……? The CSU, (the letter was not sent to them), did not like the tone of my 79 bullet pointed letter (as I had been asked to write after five months of short e-mails), that sought to engage the Adult Care Director in dealing with a complaint. His problem….? My questions were too hard to answer and they were distressing him and his staff. Paraphrased perhaps but very close to what he wrote. How can one trust these people? They don’t know what they are doing and then refuse to investigate matters. Chris this is appalling have you raised it with the actual councillors / MP’s ? Yes Richard. Done all of that many times since 2008. Without effect or simply an accepted long list of lies told to the MP’s by the NHS. In fact I am still awaiting a response from the sec of state for health, going back to 2010. Failing to answer the MP that approached them is in fact a serious offence under Parliamentary law. Do they care? Apparently not. Short of getting bogged down and taking my eye off the ball with another complex series of official complaints, my otherwise investigative correspondence is barely answered. Yet any attempt to obtain information is expected to be dealt with by all staff as a Freedom of Information Request. It is however usually ignored unless you write to a specific department. At the moment I am trying to get two linked assessments heard at IRP. They don’t want to do the last one because I did not use the local appeals process. ( I was banned from communicating with the Commissioning Support Unit (CSU) and the home was isolated twice for infection and then the NHS decided that we could not represent the patient, (after 6 years of doing so), without his written consent). What they don’t yet know is that NHS England was written to three times requesting an immediate hearing without making that impossible local appeal. (The Framework allows this). Did I get a single answer from NHS England? No! of course not. Now if NHS England, the top dogs, cannot play ball then it really does look like complete incompetence or deliberate mischief. Either way someone should do time for it. Hi Martin we just had the safeguarding panel summon us to a meeting presumably for elder abuse but no one is taking our calls to explain ” the charges”. Very scary in that we have young children. We presume the accusation is delaying MiL’s discharge by asking them to do their job properly; asking the social worker questions she should have been able to answer but didn’t, requiring an FOI request, asking for a care package for MiL etc etc. Given they have deemed the 90 year old with dementia to have capacity they could of course simply asked her to sign on the dotted line ….. I just remembered Richard, In also hold a letter from xxxxx, a health minister, who was lied to by the CCG. He believes that CCG’s have always made the eligibility decisions, because that is the lie that they told him. A CCG cannot delegate that decision but they admitted to me in FOI responses, that yes they did and a year or so later in another FOI, that they had stopped doing it because it was deemed unlawful……. The good and deliberately lied to minister remains none the wiser and of course, does not have to do anything about matters. Richard, Hardly surprising. We were told that they only had to obey all of the laws in the National Framework. Which of course contains little law at all because it is in fact guidance. We are dealing with a 5 year sequence of the NHS carrying out NHS CHC assessments alone and without forming a genuine MDT. They consider that they have complied with law and refuse to accept that they clearly have not. The main problem with that is that it is unlawful for an IRP to hear a case if there has not been a (genuine) MDT assessment of the patient. The clue of course is the words, Multi and Team taken from ‘MDT’. One person can be neither multi nor a team now can they? So in this already Kafka’esque process, how does anyone resolve this issue without going to court? This latest article is excellent and lays out all the options available when you are not happy with how the CHC process is being dealt with and the actions of Health & Social Care professionals. There is another very powerful option that professionals are always in fear of, and I would definitely add to this list. Every Health & Social Care professionals belongs to a professional body and they all have code of ethics that dictates how they must practice to maintain their professional registration. They must keep accurate records, must treat people with respect and have good communication with them. The code of ethics will all state that they must keep their knowledge up to date and must comply with the law and policies. As I know from my 20 years working in Social Care (last 4 as a manager) and since working as a CHC consultant, there are frequent and blatant breaches of code of ethics by many professionals, especially when it comes to CHC. I advise all my clients to submit complaints to the professional bodes of those involved. If it is made known to professionals that you are aware of the code of ethics they must comply with and that you point out their failures it will give them a shock and may even get them to do their jobs correctly and in line with legislation. A complaint to the professional body is another string to your bow and will empower you if you feel you have no control if professionals are playing fast and loose with applying the CHC process in line with the NF and legislation. A complaint to a professional body can proceed at any time and can be outside of a complaint to the CCG or LA and any appeal processes. I sincerely believe that the option of making a complaint to the professionals professional body for a breach of their code of ethics is very powerful one. I also know for a fact that many Social Workers and CHC nurses read blogs on this website and will not be pleased with me for making you aware of your ability to put in danger their registration and the risk of being struck off and possibly losing their jobs. However I am frequently appalled at the actions of professionals involved in CHC who should have their practice investigated by their professional bodies. Thanks Bernie. I was about to start looking these up. It appears to be Local practices that no notes / minutes or records of any kind are kept of panel meetings (the reasons seem all too obvious) flying in the face of natural justice good administration, but clearly in breach of social workers code of ethics. Agreed with Bernie. But be careful in these days of private companies, working for the likes of the NHS and the Councils. Ask via the council for any data that they hold too. My last Subject Access Request (SAR) made to my council took months. (Data Protection Act breach). Every time they sent data along with the statement that it was everything that they held; I could state data types that they held but they had not sent. Then it got dirty and the private accounting organisation (that was still sending bills and statements) and the private law firm (that was sending court threats), refused to pass the data to them. According to the council, legal data and accounting records held by their ‘businesses’ are ‘ephemeral’ and don’t exist on any computer or filing system in any form that can be reproduced……… until of course, they want them to exist. You couldn’t make this stuff up even if you were JK Rowling. Funny how I still get updated monthly computer generated care charges via this third party organisation for a person who has been dead for 5 months. I wonder if for all this time, they have been paying the Nursing Home too. So much for complying with the very punitive Data Protection Act at its most basic……. The requirement that all data held and processed must be accurate.